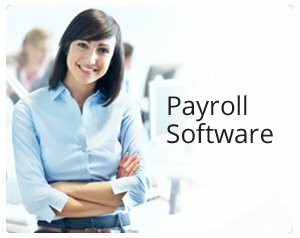 Payroll Software is the unique software developed to manage the salary of employees. It also manages the increment in due time, and additionally it can also calculate different deductions or additions like ESI, PF, TDS, TAX, Loan Advance, Arrears, Gratuity and Bonus. In fact, this software also helps in ‘Dues Clearance’ at the time of resignation of any employee. Payroll Software is linked with Star Time Office Software for the detailed monthly summary (no. of days present, holidays, weekly off or leaves) of any employee and it also allows to import the data of employees through excel file. This reduces the human effort and almost every process is done in a single click. Only the need is to enter few basic details of the employee. There are also some unique features which make it more valuable and worthy to be used in any setup. This software can calculate the salary in the manufacturing units or production units where salary is calculated on the basis of no. of products made by an employee or where there is a policy of salary on Piece-rate. This software can also calculate the salary on daily-wages basis. The settings of Payroll Software can be changed according to the requirement. There is option of Dynamic Date setting, which defines the date from which report is generated. (For ex: 1-30 of a month or 25-24 or whatever date user wants to fix). Other feature is Policy of Formula Setting for salary, which allows the user to add or deduct some additional amount by simply changing the formula depending. The formulas can be implemented as a whole for department or section or a team or even between employees (based on your Policies) .